Gold futures declined Friday but still scored a weekly increase, their third straight. Silver and palladium also gained on the week. The former snapped a two-week losing streak. Gold for December delivery fell $1.40, or 0.1%, to settle at $1,228.70 an ounce on the Comex division of the New York Mercantile Exchange. "The enormity of significant tail risks around the U.S. midterm elections and escalating pockets of geopolitical angst still make gold a favorable hedge against these," Reuters quoted Stephen Innes, APAC trading head at OANDA in Singapore. Gold futures advanced 0.6% this week after gains of 1.4% last week and 0.8% the week before then. On Tuesday, they closed at $1,231 an ounce for their highest finish since July 31. The yellow metal is 6.2% lower on the year to date. "Fourteen market professionals took part in the Wall Street survey. Eleven respondents, or 79%, predicted higher prices by next Friday. There were no bearish votes, while three respondents, or 21%, looked for a sideways market. Advancing for the first time in four sessions, silver for December rose 4.6 cents, or 0.3%, to $14.65 an ounce. Silver futures edged up 0.1% this week after sliding 0.1% last week. They are 14.6% lower on the year so far. January platinum added $4.30, or 0.5%, to $836 an ounce, but posted a 0.5% weekly decline. Palladium for December delivery settled up $5.20, or 0.5% to $1,069.90 an ounce, for a 0.9% increase on the week. For the year to date, platinum is 10.9% lower while palladium is 0.8% higher. Gold rose $4.85, or 0.4%, to 1,227.85 an ounce. Silver added 9.5 cents, or 0.7%, to $14.61 an ounce. Platinum gained $7, or 0.8%, to $835 an ounce. Palladium rose $11, or 1%, to $1,086 an ounce. In LBMA weekly results, platinum shed 0.4% while the other metal prices gained — 0.7% for gold, 0.1% for silver, and 0.2% for palladium. 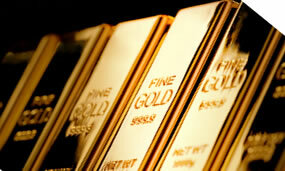 Gold bullion coins rose by 5,500 ounces this week after increasing by 7,000 ounces last week. Splits included 3,000 ounces in American Gold Eagles against 6,000 ounces previously and 2,500 ounces in American Gold Buffalos compared to 1,000 ounces previously. Silver bullion coins moved up by 200,000 ounces this week after climbing by 260,000 ounces previously. American Silver Eagles accounted for all sales in both weeks.